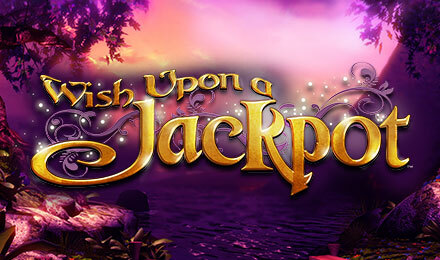 Wish Upon a Jackpot Slots is for all the fairy tale lovers out there. This 5 reel and 20 payline online slot game is packed with bonuses & magical wins. Your Fairy Godmother is waiting to shower you with bonuses in Wish Upon a Jackpot Slots! It features the most lovable fairy tale characters, who each represent a magical bonus just for you! Wish Upon a Jackpot has 5 reels and 20 paylines, and the following bonuses: The Three Little Pigs Free Spins Bonus, Jack and the Beanstalk’s MEGA multiplier up to 1,000x, Rapunzel’s Unlimited FREE Spins, and Rumpelstiltskin’s Deal Maker Bonus.